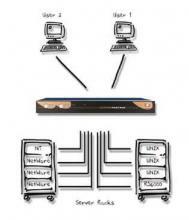 A KVM switch is designed to enable KVM access to a selected target computer. 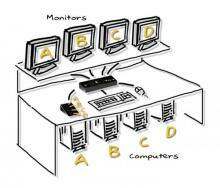 The term ‘KVM Switch’ describes the ability to switch Keyboard, Video and Mouse between multiple computers. 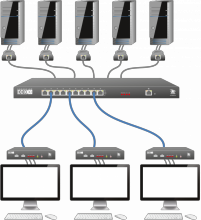 Selecting a computer on Adder KVM Switches can be done with the Mouse, Keyboard Hot-Keys, by RS232 or via an open API on many Adder KVM switches. 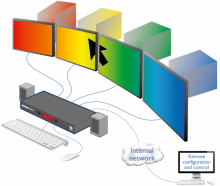 ADDERView Prism – a ‘reverse KVM switch’ that enables up to four consoles to access a single computer or KVM switch. 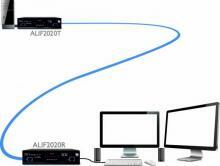 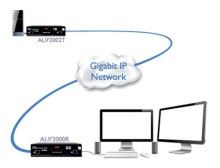 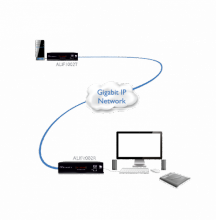 Ideal for video splitting, resource sharing and KVM matrix applications. 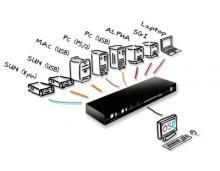 Designed to control mixed PC, Sun, Mac and laptop computers from a single console, the ADDERView 108 MP’s range of popular features make it a good choice for PC only applications too. 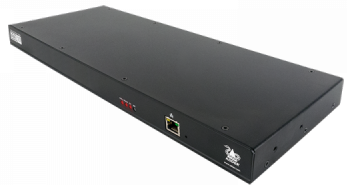 The ADDERView Matrix MP is a new generation of advanced multi-platform KVM switches that is specifically designed for use with any mixture of Sun, Mac or PC style computers. 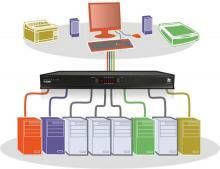 The ADDERView Matrix is an advanced KVM rack solution at incredible value. 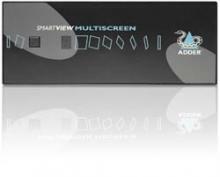 The ADDERLink SmartView MultiScreen Serial Switch allows a single keyboard, mouse and (up to) two video monitors to control four separate computers. 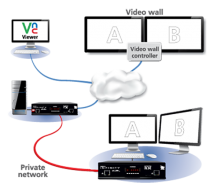 The SmartView MultiScreen expands the horizons of computer control by adding multiple monitor support to an advanced KVM switch. 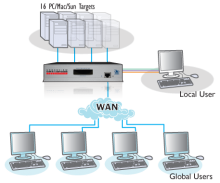 The MultiScreen is a new concept in KVM switches and enables you to benefit from all the convenience of the proven SmartView switches whilst taking advantage of the multiple monitor facilities available on many modern computers. 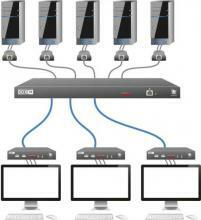 KVM switching for up to 4 users with integrated extenders for local and remote control. 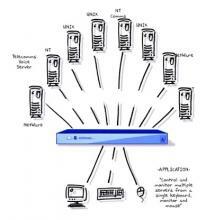 ADDERView OSD is an extension to the ADDERView range.